The first shot taken with my new Nikkor 105mm macro lens. 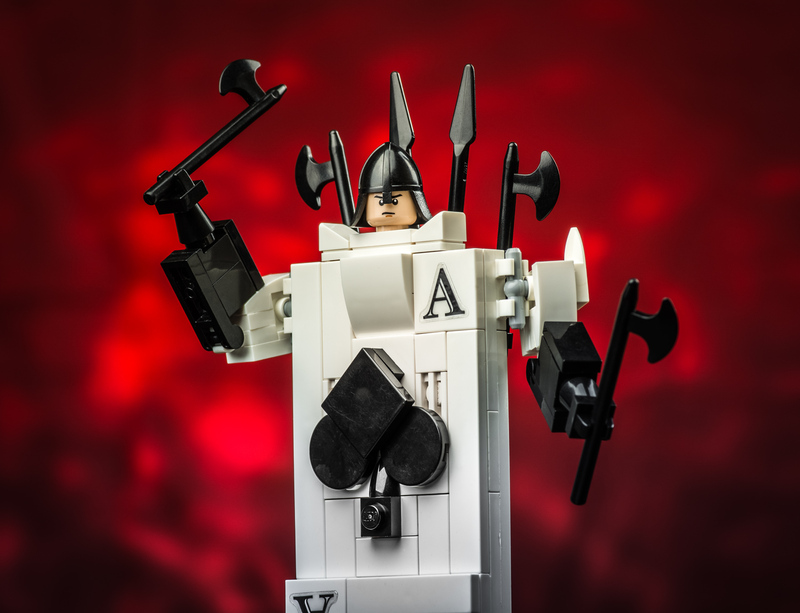 This is my custom card warrior of the Ace of Spades from Alice in Wonderland, placed in front of a red backdrop. Against the red backdrop is a red and orange swirling party bulb, which creates a cloud-like background from the camera’s slow shutter speed.